Let's Fix Construction takes an interdisciplinary approach to solving the AEC industry's challenges. 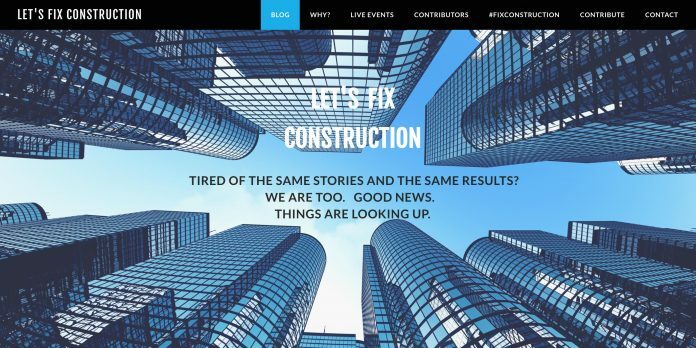 Several readers have nominated the Lets Fix Construction blog (letsfixconstruction.com), and the blog is currently a serious contender in the popular vote results, for good reason. 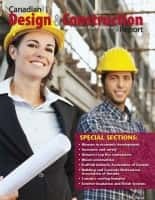 This blog is one of the most solid interdisciplinary resources for architects, engineers, contractors and specifiers I’ve seen in the business. Possessing well over one hundred years of combined experience in all facets of construction, the contributors of ‘Let’s Fix Construction’ demonstrate ‘the way things are supposed to be’ in the construction industry. 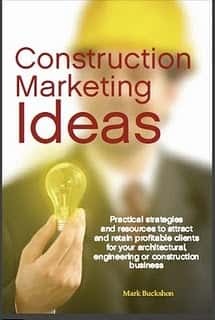 It is sometimes too easy to offer complaints without offering solutions and that is why ‘Let’s Fix Construction’ was born. While we aren’t here to offer solutions to all of the problems you face, we are here to let you know that you aren’t the only one seeing issues in the office or in the field. We are here to offer our point of view, our thoughts on what we see and perhaps an answer or two along the way that you may be able to good use. I especially enjoyed the observations about the problems that occur when specifications are reused, in this post: The Perils of Recycling Specifications. For many years, I was one of the instructors for my CSI chapter’s certification classes. In addition to explaining what CSI’s practice manuals say, I liked to include horror stories – real-world examples of the ways people found to really mess up a project. One of my favorite stories came from a public sector waste treatment agency. The project was a relatively simple addition to an existing building at one of the waste treatment facilities, to provide shower and locker rooms for the employees. Apparently, the mechanical engineer had reused specifications from another project, which happened to be a church. Obviously, assuming the specifications had been submitted for review, there should have been opportunities to discover and correct the error, but had the engineer started with master specifications, the baptismal font almost certainly would not have appeared in the specifications for this project. This is an amusing result of the time-honored way of writing specifications: take the specs from the last project, change the client’s name, and – voila! – they’re done. While this may be a quick way to produce specifications, it also is a way to virtually guarantee those specifications will be incorrect. The article goes on to explain the reasons for recycling specifications, and the perils — especially of leaving out important information that might have not been included in the original document, but would certainly be relevant for the final work. There are many other relevant posts and articles in this well-designed blog, with several solid contributors. You should certainly book-mark it. It is undoubtedly a serious competitor for the 2017 Best Construction Blog. You can vote for this blog or others of your choice here until March 31. Next articlePrinting a new house for a bit more than $10K — Can it be done?